Somehow, just hearing the name Bethlehem brings melodies, stories and peace like no other to me. It’s history goes back to Genesis and though it was truly a little town, it bears great significance in the revelation process of God to man. 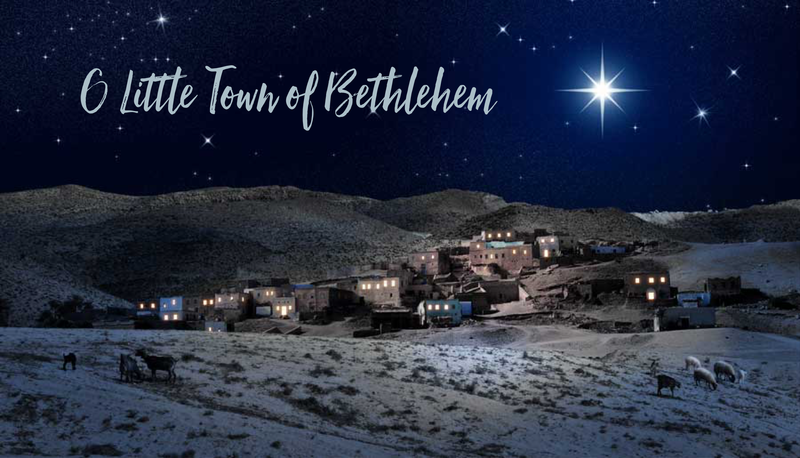 Some of that significance is related in the beautiful carol, “O Little Town of Bethlehem.” This one has been one of my favorites since I was a child. I can easily bring up pictures of it in my mind from countless Christmas cards. Bethlehem carries with it a quaintness and simplicity that many of us are longing for, today. But, the significance of the City of David goes much deeper than sentiment. As Christmas of 1868 approached, Mr. Brooks told me that he had written a simple little carol for the Christmas Sunday-school service, and he asked me to write the tune to it. The simple music was written in great haste and under great pressure. We were to practice it on the following Sunday. Mr. Brooks came to me on Friday, and said, “Redner, have you ground out that music yet to ‘O Little Town of Bethlehem’?” I replied, “No,” but that he should have it by Sunday. On the Saturday night previous my brain was all confused about the tune. I thought more about my Sunday-school lesson than I did about the music. But I was roused from sleep late in the night hearing an angel-strain whispering in my ear, and seizing a piece of music paper I jotted down the treble of the tune as we now have it, and on Sunday morning before going to church I filled in the harmony. Neither Mr. Brooks nor I ever thought the carol or the music to it would live beyond that Christmas of 1868. His tune is the one most commonly used in America. There are other tunes that have been paired to the text. A common one used in England is Forest Green adapted by Ralph Vaughn Williams. In looking for a version of the song to link to, I found this very interesting video. It is filmed in modern day Bethlehem and the people of the town are telling the story of the birth of Jesus. There’s no song here, but the story is powerful.